Learning that Changes the World……. Like many colleagues around the globe we are stopping for the holiday season here in Oz that is upon us. As with any break it is much needed time to step back, enjoy the view, read, do more reading, talk, swim, run, read more, reflect and grow. I am also finishing my time at my current school as Head of Curriculum and next year move my family to the country to begin the next part of our journey. 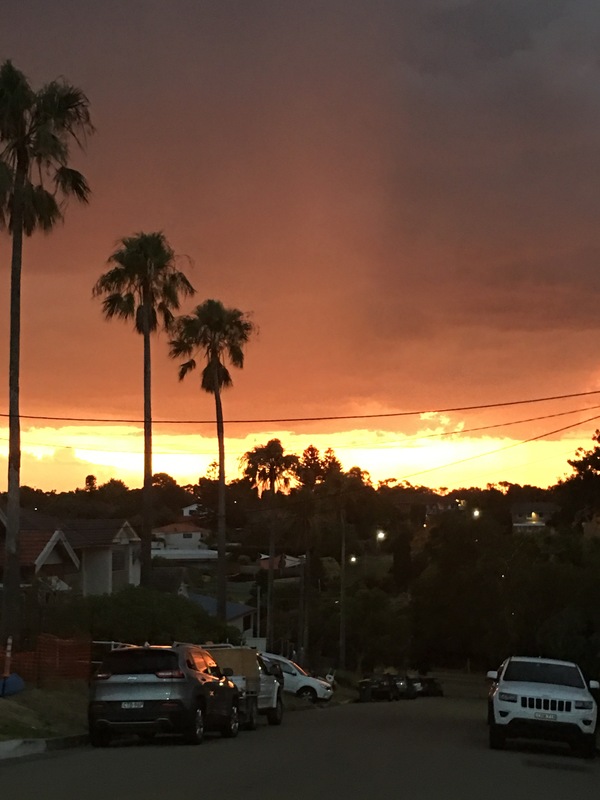 For me this involves becoming Principal of a small Catholic Co-ed High School in Grafton, NSW about 6-7 hours north of Sydney and 3 hours south of Brisbane. I am eagerly preparing for this new position and all the amazing people and things that lie ahead for me. No doubt the next few years will be a HUGE learning curve for me which I cannot wait to begin. I am so thankful for all my previous schools and leaders I have worked with because now I have found myself reflecting on all the great learnings I experienced that I can now take with me to my new school. The good stuff stays the course in any school or organisation and the other stuff becomes a rich learning about what to change! But that is next year (only a few weeks away!!) and here I wanted to give thanks for the many gifts and opportunities I have experienced over the past 4 years. There have been many highlights, too many to list them all so here goes a short summary with some broad themes. 1. Building a PLC with Amazing colleagues – the best people I have encountered are the ones who have challenged me and forced me to grow as an educator. They didn’t always agree with me but they questioned and were prepared to grow theirs and my mindset. I am thankful for people who helped me grow and develop my leadership skills here. All the research about teachers being the single biggest influencer of learning outcomes for students is spot on. If you have a school of GREAT teachers then you have a GREAT school! The big money question hence the huge book, conference and consultants on offer world wide from Dylan William to My mate Pasi and Andy, sorry Mike and George nearly forgot you, is…………. HOW do you build a workforce of great teachers? Working with resistance is tiring but worthwhile mostly in part because the students are the big winners of innovation in learning. I think change has more to do with giving our students the best rather than pandering to a small handful of staff who place their interests in front of their students. Get on with it the j0b we were employed to do!! I have spent last 4 years working side by side with Westley Field, who assumed the position in my school of leading innovation in learning at the same time I began in my role. Westley was responsible for leading and developing a model of learning called LIBERATE. He built this from the ground up working with all staff and teacher leaders to build a common language. This has been a key role for our teachers who have been reskilling and learning new concepts about what it means to be a connected educator who understands and practices blended learning with students. 3. Professional Learning as Leadership Capability Building – no amount of money is enough that can be spent on this particularly for leaders. Do not put your Business Manager anywhere near the PD budget!! I have been privileged to be part of eye opening PD opportunities in my time and this budget, an investment in conferences, but even better overseas school visits to international schools that builds networks and opens eyes for teachers is CRUCIAL for the modern connected school has for most part come with Westley and his role of innovating to learn. Investing to bring international and national scholars like Gary Stager, Stephen Heppell, Anthony Muhammad, Greg Whitby, Dr Rinda Montgomery, Professor Donna Cross, and Dr Leoni Degenhardt to name just a few of the more well known educators that have visited our school or have worked with our teachers. This has come from the direct impact of having a key figure leading learning innovation and being closely involved was one of my professional highlights. Presenting with Westley on our schools model of learning with our boss at the 2012 ACEL conference was our combined attempt to fast track the execs notion of professional learning. 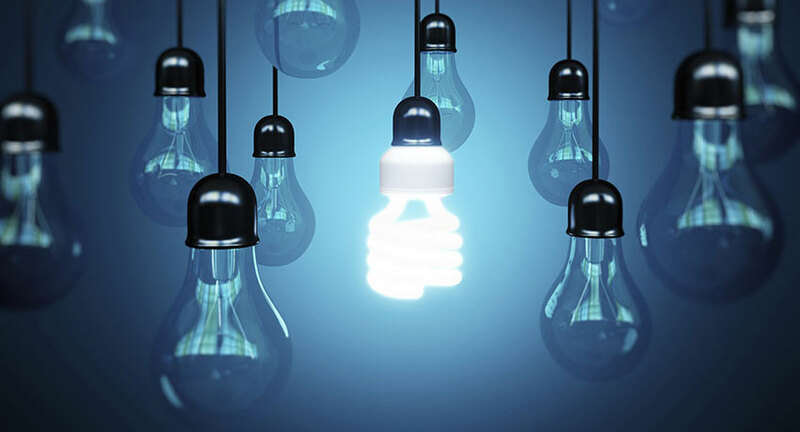 School leaders must be out and about networking, sharing and exposing themselves and their school to huge new opportunities that flow from this investment. Administrative school leaders that do not talk learning are a relic of the past. Leaders in the digital age must be leaders of INSTRUCTION!! 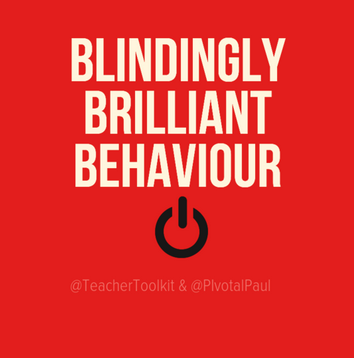 Teachers need to SEE and be exposed to national and international best practice to innovate and change practice. Global education has broken down considerably and Australian educators need to step up here and start leading the way on the international stage. Everywhere American educators dominate the market with conference presenters and books and it will be great to see a little Aussie flavour here soon too!!! 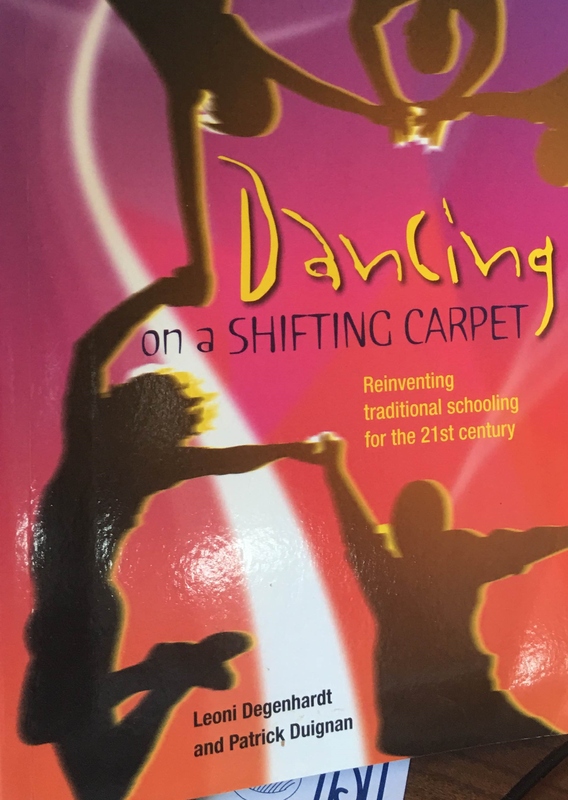 A great aussie read here is one schools story of complete transformation DANCING ON A SHIFTING CARPET by Leoni Degenhardt ( no offence here to all the amazing US educators I follow and buy books from just a bit of aussie flavour this xmas time). Here Leoni talks about the creative and capable learners our schools need to be producing for the information future and the transformation that schools must undertake. A good read of one schools journey over a number of years. Time to build PLCs VITAL! Successful schools I have visited like @ParraMarist reveal students working harder outside the 9-3 school bell timetables accessing teacher materials online. 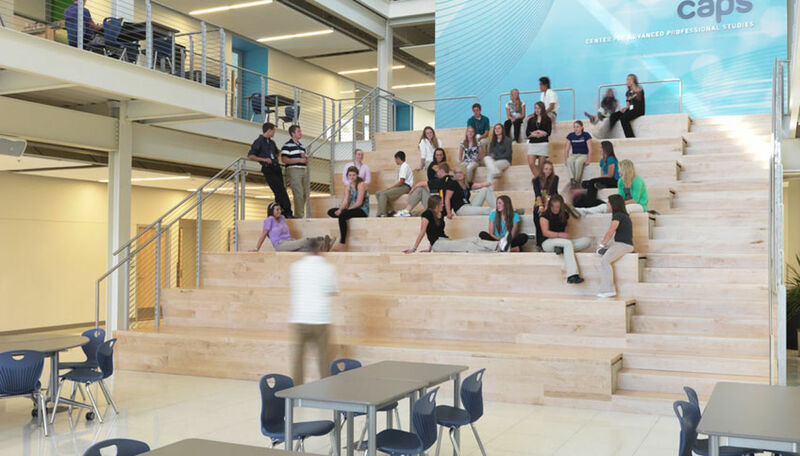 The notion of the one teacher 25 student classroom is morphing to something NEW and innovative hence their numerous awards and recognition from worldwide leaders like Apple and New Tech for their bravery in breaking the mold of traditional schooling. This puts the emphasis on LEARNING when students gather with their teacher for discussion in their 100 minute lessons instead of wasting time introducing new content during the lesson. They are not alone but are ahead of the pack. 1. Why do many school classrooms still look like they did in 1986 (when I left school) desks and rows? 2. Does learning space or the environment influence the learning outcomes for students?…..Yes so lets get on with changing them…..
3. Can students access your learning materials completely online ( modern space)?…..if not then make it so……. 4. Do you provide feedback or online discussion boards as part of your assessment of student learning (contemporary learning design)? 5. Does your school provide Professional Learning Team time during the day to meet in teams plan and discuss student work? 6. Are we taking too long to hand hold teachers through change processes when we need to spend more time on asking what is best for our students FIRST and then get on implementing this change? Is school about teachers or students and which comes first? ……students come to learn and teachers are trained to assist this right? If we agree with this then schools are all about STUDENTS!!! 5. Leadership – crucial crucial crucial. Just like teachers but even more important to have a great leader and leadership TEAM and teacher leaders prepared to chart a course or way forward for the school. Great schools NEED great leaders. Two of the most outstanding I have seen in Sydney that is influencing me greatly has been Parramatta Marist (a little bit of a fan!!) and Schools like Northern Beaches Christian School that have visionary leadership under Stephen Harris who I met years ago at a ACEC conference in Cairns. A thoroughly impressive leader then who has transformed his school in every way. Some talk about Innovation Stephen does it. Stephen and his team under Anne Knock Stephen Collis and others have been leading tours for leaders to places like Germany, Finland, Sweden to experience first hand what eye opening, amazingly wonderful design exists and what can Australian schools learn from them. It is best to book a tour and visit NBCS to see. I have enjoyed being part of a leadership team for the past 4 years, all different in personality and backgrounds but united in our pursuit of a common vision and bringing that vision to fruition. That work can ultimately only be beneficial for our organisation. I am thankful for this great gift and for all my Principal taught me about keeping things positive. I feel positivity will be key theme of senior leadership!! 6. Wellbeing…… The student part!! All about the students…… I could have put this first because schools exist first and foremost for students but it helps the students if points 1-5 are in place to build a great school for them doesn’t it? My school has spent the past four years deeply immersed in building more holistic student wellbeing structure whilst also transforming the vision, culture and environment. I did not “live long enough” to see the whole wellbeing house constructed but certainly saw many of the building blocks get put in place. Nice, simple and easy to remember or was it – learning is the oil of wellbeing?!?!!…….. Anyway hopefully you get the point the two are intrinsically linked. If a child is Happy and positive about their school and who they are in the world then learning will look after itself and that student will thrive and prosper. So like many schools we visited on huge trips and research missions it all comes down to this simple message . Keep them happy!! And they will engage, thrive and learn and grow. Again this is harder in reality that it sounds but building wellbeing programs into the curriculum is a big step in recognising the need for schools to adapt and adopt new ways of doing traditional pastoral care programs. Mindfulness and positive psychology programs are two just to name a few that should be incorporated into what students learn whilst at school. All schools want to produce outstanding socially responsible citizens who not only are outstanding role models with their learning but also contribute to making THEIR world a better place. To this end when you see one of your students, who also just happened to the the Dux, then head off on a 750km+ walk from Bondi to Byron to raise funds for others in less developed world then you can sit back and feel proud that something came out of their Timor Leste immersion in Year 11 to lead them to this!!!! Amazing stuff. I often read about this kind of stuff happening in schools but feel very proud this time it’s my school!! !….or was my school but the idea lives on in me for my next school….learning that will change the world and make it a better place!! At this time of year so much to give thanks for so I’m glad I just spent the past few hours sitting in airports across a few days thinking about my year but more importantly writing this outstanding post. Thankful and humble too!! And have a great New Year wherever you are. I look forward to making more connections and learning so much from you all in 2016! !